It was all games, games, and more games as Phil Spencer from Xbox too the stage at this years E3 Media Briefing. Manny was asked again by our client, Zed Ink to be the Lighting Designer for the Media Briefing which was broadcast live on Spike TV. This was Manny's 9th year lighting the project. A major feature of this year's show was a design that brought the show more out into the audience. Three satellite stages with scenic LED backing screens were place out onto the main floor of the Galen Arena. 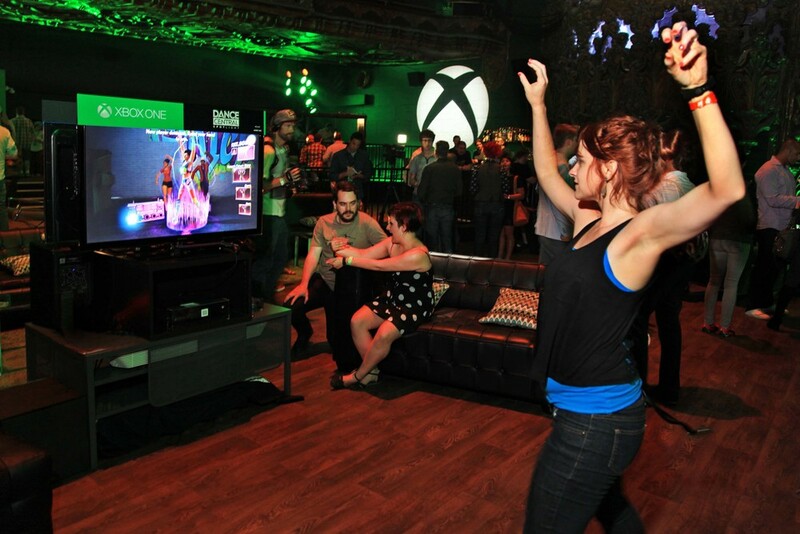 Using the whole floor of the arena brought the presenters and the game demos closer to the audience and created a more intimate look on camera. Erin Hearne Williams, Zed's Creative Director for the show also wanted to immerse the audience more into the show and have that be reflected on the broadcast. She added LED bracelets from Pixmob that could be controlled as part of our lighting system. This opened up a whole new world of visual effect that turned the audience into surrounding backdrop for so many of the camera shots seen at home. 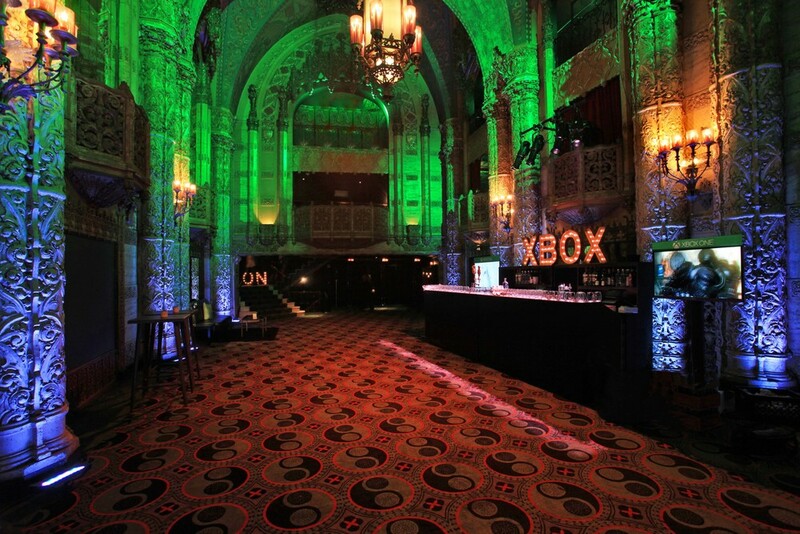 This year both Manny and Brian also designed the Xbox Showcase. The location is always an iconic downtown venue. This year was no exception and the event took place at the recently renovated Ace Theater. 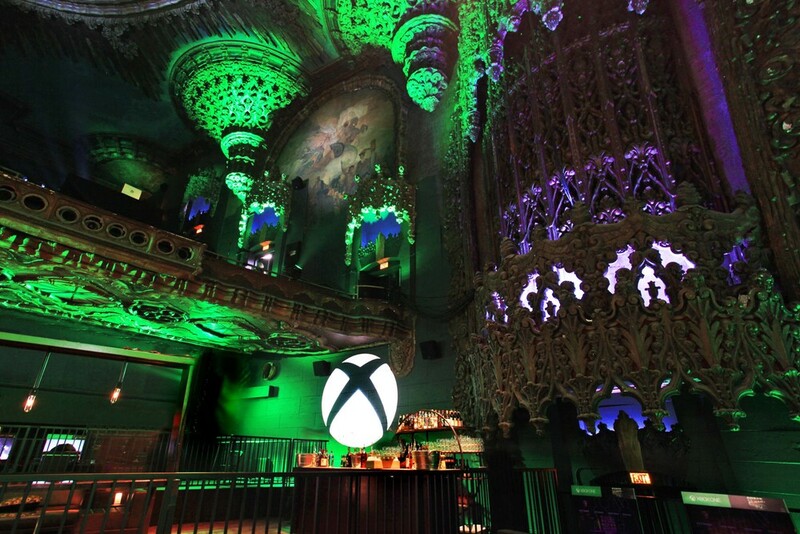 Its rich architecture, painted in the brand colors of Xbox become a photogenic backdrop for debut of game play from so many of the new titles coming out this year.